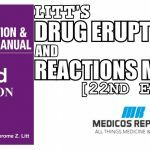 If you are preparing for USMLE Step 1 or FCPS Part 1 exam and wondering which books to consult when studying Pathology, then you must not fall into any sort of confusions. Still thinking how? Alright, let’s get things straight. 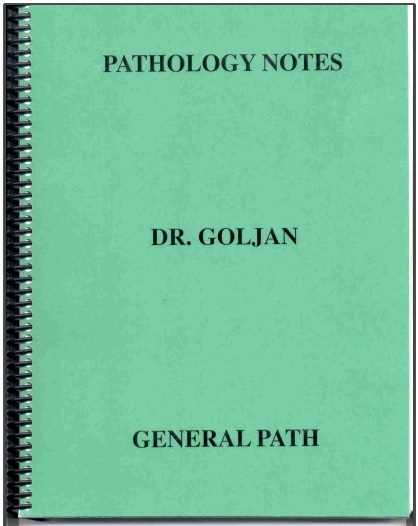 🙂 For General Pathology, you must keep in mind that “Rapid Review of Pathology” by Edward Goljan is more than enough. 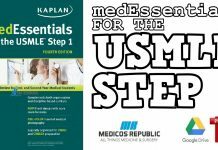 It covers all important and frequently tested topics in General Pathology for USMLE Step 1 & FCPS Part 1 Exams. You must solve all questions present in Goljan Pathology & BRS. 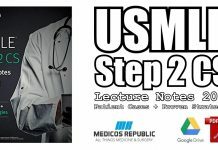 For Special Pathology, Microbiology and Immunology, First Aid for USMLE Step 1 would do enough. 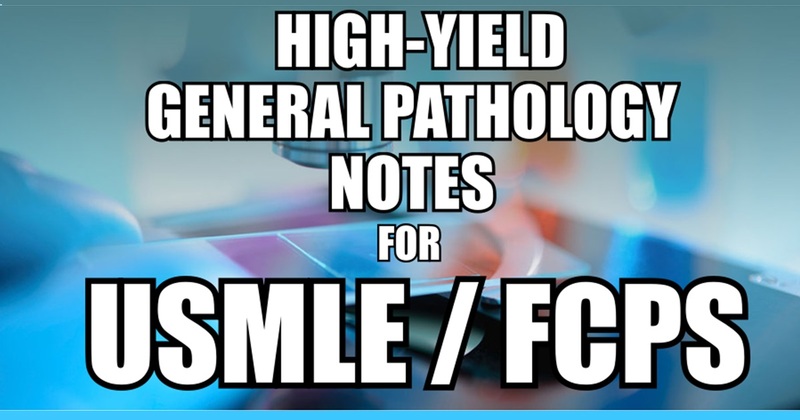 In this article, we are going to share with you high-yield General Pathology notes which you can utilize for your USMLE Step 1 and FCPS Part 1 preparation. Below are 200 high-yield General Pathology points which serve as a QUICK REVISION for memorizing important general pathology concepts from exam point of view. 1.Hyperplasia is an increase in the number of cells in an organ or tissue, usually resulting in increased volume of the organ or tissue. 2. Hypertrophy refers to an increase in the size of cells, resulting in an increase in the size of the organ. 3. Atrophy is the shrinkage in the size of the cell by loss of cell substance. 4. Metaplasia is defined as a reversible change in which one adult cell type (epithelial or mesenchymal) is replaced by another adult cell type. 5. Cell swelling is the earliest sign of a reversible cell injury. 6. Free radical is a chemical species that have a single unpaired electron in an outer orbit. 7. Necrosis is a spectrum of morphological changes that follow cell death in a living tissue largely resulting from the progressive degradative action of enzymes on the lethally injured cell. 8. Necrosis has six major type; coagulative, Caseous, Liquefactive, fibrinoid,gangrenous and Fat. 9. Apoptosis (Greek falling off) is defined as a pathway of programmed cell death that is aimed at a highly regulated intracellular programme in which cells destined to death by activated enzyme that degrade the cell’s DNA and nuclear and cytoplasmic proteins. 10. Morphologically an apoptotic cell shows: a) cell shrinkage, b) chromatin condensation c) formation of cytoplasmic blebs and apoptotic bodies, d) phagocytosis by macrophages. 13. Genes inhibiting apoptosis are bcl 2 family. 14. Initiator caspase are 8 & 9, while executioner caspases are mainly 3 & 6. 15. Dystrophic calcification is always seen in damaged tissues while metastatic calcification may occur in normal tissues whenever there is hyperplasia. 16. Inflammation is a complex reaction to injurious agents suchj as microbes and damaged, usually necrotic cells that consists of vascular responses, migration and activation of leukocytes, and systemic reactions. 17. Inflammatory response consist of TWO main components: vascular & cellular, and divided into TWO main patterns: Acute and Chronic. 18. Vasodilatation is one of the earliest manifestation of acute inflammation, if follows a transient vasoconstriction of arterioles lasting few seconds. 19. Increased vascular permeability leading to the escape of a protein-rich fluid (exudate) into the extravascular tissue in the HALL MARK of acute inflammation. 20. Formation of endothelial gaps in venules is the most common cause of vascular leakage. 21. Leukocytes Adhesion molecular families have a major classes: a) Selectins (E,L & P types), b) Integrins, c) Immunoglobulin family of adhesion molecules and d) Mucin like glycoproteins. 22. Selectins mainly involved in rolling of leukocytes, PECAM in transmigration and immunoglobulin family in adhesions. 23. Chemotaxis is defined as uni directional migration of leukocytes towards the site of injury under chemical gradient action. 24. Most important chemotactic agents are C5a,LTB4 and bacterial products. 26. H202-MPO-Halide systein is the most efficient bactericidal system in neutrophils. 27. Chediak-Higashi Syndrome is an autosomal recessive condition characterized by failure of fusion of phagosome with lysosome. 28. Chronic granulomatous disease of childhood results from inherited defects in the components of NAPDH oxidase which generates superoxide, leading to body infections. 29. Vasoactive amines are histamine and serotonin which are the main players of early inflammation. 30. Plasma Proteins are: Complement system proteins, clotting system and fibrinolytic system. 32. MAC (C5B6789) is the membrane attack complex, which finally kills the bacteria. 34. SRS-A (slow releasing substance of anaphylaxis) constitutes LTC4, LTD4 & LTE4 promote vasoconstriction, bronchospasm & increased vascular permeability. 35. Lipoxins are bioactive products generated from transcellular biosynthetic mechanisms involving neutrophils and platelets. 36. IL-1 & TNF are two of the MAJOR cytokines that mediate inflammation. 37. Major chemokines include: IL-8, MCP-1, eotaxin, MIP-1, Lymphotactin and RANTES. 38. Nitric oxide plays major role in production of vasodilation by relaxing vascular smooth muscle in ischemic conditions. 40. Potent vasodilators are : Vasoactive Amines, Prostaglandins & NO. 41. Acute inflammation is defined as a rapid response to an injurious agent that serves to deliver mediators of host defense – leukocytes and plasma proteins to the site of injury. 42. Chronic inflammation is defined as an inflammation of prolonged duration, in which active inflammation, tissue destruction and attempts at repair are proceeding simultaneously. 43. Neutrophils are the main cells of acute inflammation (exudates) while Mononuclear cells (with one nucleus are the main cells of chronic inflammation .Mononuclear cells include Lymphocytes, Monocytes, Macrophages and Plasma cells. 44. Macrophages are the prima donna (main working cell) of chronic inflammation, while lymphocytes are present in increased number. 45. Granuloma is a focus of chronic inflammation, consisting of microscopic aggregation of macrophages that are transformed into epithelium like cells surrounded by a collar of mononuclear leukocytes. Don’t confuse it with Granulation tissue which has capillaries, fibroblasts, and a variable amount of inflammatory cells. 46. Classical tuberculous granulomas is composed of epithelioid cells, Langhan’s multinucleated giant cells, caseation necrosis and collar of lymphocytes. There are two types of Granulomas: Immune & foreign body. 47. There are 3 types of cells in the body: Continously dividing labile cells, Quiscent or stable cells and Permanent Non-dividing cells. 48. Stem cells are cells characterized by their prolonged self renewal capacity and by the asymmetric replication. They are of two types: embryonic & adult stem cells. 49. VEGF & fibroblast Growth factor are mainly involved in angiogenesis. 50. TGF-B is a growth inhibitor for most epithelial cells and leukocytes, potent fibrogenic agent and a strong anti-inflammatory effect. 51. Extracellualr matrix is formed of these groups of molecules : a) fibronectin b) adhesive glycoproteins and c) proteoglycans & hyaluronic acid. 52. Collagens is the most common protein in the animal world, with 27 types discovered so far. Types I, II, III, V & X) are fibrillar and most common while type IV is non fibrillar. 53. Healing by 2nd intention differs from 1st intention in three ways; a) inflammatory reaction is more intense, b) Much more granulation tissue forms and c) wound contraction phenomenon. 54. Accumulation of excessive amounts of collagen may give rise to a hypertrophic scar while if scar tissue grows beyond the boundaries of the original wound and does not regress, it is called keloid. 55. Edema is defined as accumulation of fluid in the interstitial tissue spaces and body cavities. 56. Local increased volume of blood in a particular tissue leads to Hyperemia and congestion. Hyperemia is an active process, resulting from augmented tissue inflow because of arteriolar dilation while Congestion is a passive process resulting from impaired outflow from tissue. 57. Heart failure cells are hemosiderin laden macrophages seen in chronic pulmonary congestion. 58. Petechiae are minute 1 to 2 mm hemorrhages into skin, mucous membranes or serosa surfaces, while >3 mm hemorrhages are called Purpura and more larger > 1 to 2 cm subcutaneous hematomas are called Ecchymoses. 59. Virchow’s triad include: a) Endothelial injury b) Stasis or turbulent blood flow & c) blood hypercoagulability. 60. Of the inherited causes of hypercoagulability, mutation in the factor V gene and prothrombin gene are the most common. 61. Lines of Zahn are laminated lines produced by alternating pale layers of platelets admixed with some fibrin and darker layers containing more red cells. 62. Fate of thrombus include: propagation embolization, dissolution, organization and recanalization. 63. Embolus is a detached intravascular solid, liquid or gaseous mass that is carried by the blood to a site distant from its point of origin. The phenomenon is called embolism. 64. Infarct is an area of ischemic necrosis caused by occlusion of either the arterial supply or the venous drainage in a particular tissue. 65. The most dominant histologic characteristic of infarction is ischemic coagulative necrosis. 66. Shock is the systemic hypoperfusion caused by reduction either in cardiac output or in the effective circulating blood volume, and resulting in hypotension followed by impaired tissue perfusion and cellular hypoxia. 67. Major types of shock include: cardiogenic, hypovolemic, septic, neurogenic and anaphylactic. 68. Mutation is defined as a permanent change in the DNA. 69. Marfan’s syndrome is a disorder of the connective tissue of the body, characterized by changes in the skeleton, eyes and cvs. Mainly cause by defects in an extracellular glycoprotein Firbillin-1. 70. Ehlers-Danlos Syndrome comprise a clinically and genetically heterogenous groups of disorders that result from some defect in the syntesis or structure of fibrillar collagen. 71. Amyloid is a pathologic proteinaceous substance deposited between cells in various tissues and organs of the body in a wide variety of clinical settings. 72. Neoplasm is an abnormal mass, the growth of which exceeds and in uncoordinated with that of the normal tissue and persists in the same excessive manner after cessation of the stimuli which evoked the change. 73. Tumor has two basic components: Parenchyma & stroma, while tumors are of two types: Benign and Malignant. 74. Benign tumors are well differentiated, grow slowly and don’t show invasion and metastases, while Malignant tumors range from well to undifferentiated, grow fast and show invasion and metastasis. 75. Single most important feature to differentiate benign from malignant tumor is METASTASIS. 76. Carcinomas mostly use lymphatic routes and sarcomas mostly use hematogenous routes of spread. 78. Proto-oncogenes are changed to oncogenes by three processes: mutation, translocation and amplification. 79. Major oncogenes are; RAS, ERB-B1, RET, KIT, ABL, C-MYC & N-MYC. 80. Major antioncogenes are: RB, TP53, W.-1, NF-1, BRCA-1, APC. 81. Oncogenic viruses include; Human Papilloma virus, Hepatitis B virus, Epstein Barr virus ,Kaposi Sarcoma Herpes viruses & Human T-Cell leukemia virus (The only oncogenic RNA virus). 82. Chemical carcinogenesis is a multistep process, divided into initiation and promotion phases. 83. Major chemical carcinogens associated as include: Asbestos with Mesothelioma, Aniline dyes with TCC, Nitrates-Gastric carcinoma, Aflatoxin with HCC, Vinyl chloride with Angiosarcoma Liver. 84. Radiation induced malignancies include leukemias and papillary carcinoma thyroid. 85. Major paraneoplastic synbdromes include, Cushing syndrome, ADH secretion by small cell carcinoma lung, Hypercalcemia by Squamous cell carcinoma lung, hypoglycemia by Fibrosarcoma and HCC, Polycythemia by RCC and hypertrophia osteoarthropathy by CA lung. 86. Major tumor markers included : HCG for Choriocarcinoma, calcitonin for medullary carcinoma thyroid, alpha fetoprotein-HCC and Non-seminomatous germ cell tumor testis, CEA-CA colon, PAP For CA prostate, CA-125 for Ovarian CA , Ca 19-9 for CA Colon and pancreas ,CA 15-3 for CA breast. 87. Major immunomarkers for epithelial tumors are cytokeratin, for mesenchymal tumor – vimentin, for leukocyte origin tumor – leukocyte common antigen, S100 for neural origin tumors and for skeletal muscle tumors – desmin. 88. Type I hypersensitivity (“anaphylactic”) or “immediate hypersensitivity”) is the result of antigen binding to IgE on the surface of mast cells and basophils. These instantly degranulate and release active substances into the surrounding tissue. 89. Type II cytotoxic hypersensitivity, antibodies attach to antigens on the surfaces of a cell and then something injures or destroys the cell. 90. In type III immune-complex hypersensitivity reaction, “Soluble antigens” precipitate with antibodies, usually this happens 2-4 hours after exposure. This sort of tissue injury is mediated by antigen-antibody complexes (“immune complexes”). 91. Type IV Hypersensitivity reaction is called “delayed hypersensitivity”. It is mediated by sensitized CD4+T lymphocytes which process antigens in association with class II HLA molecules and release lymphokines. 92. 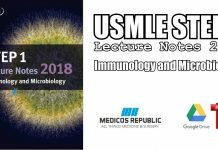 Immune reactions are divided into two broad categories: A) Humoral immunity-B-cell lymphocyte mediated via production of antibody and Often develops as a response to soluble antigens, and B) Cellular immunity-T-Cell lymphocyte mediated. CD4+helper lymphocytes: help B cells make antibody and also help to generate cytotoxic T cells. 93. Major histocompatibility complex is present on all nucleated cells. 94. The HLA system is a key factor in most Transplant rejection reactions. 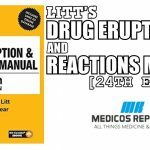 Reactions are mediated by either T lymphocytes or by antibody. 95. Toll like receptors are membrane proteins that recognize a variety of microbe derived molecules and stimulate innate immune responses against the microbes. 97. Major autoimmune disease include Hashimoto’s thyroiditis, Rheumatoid Arthritis, Sjogren’s syndrome, ankylosing spondylitis. 98. Gamma interferon is one of the cytokine to activate macrophages and also play major Role in Granuloma formation. 99. Cytokines are mediators released from one cell and modulate the actions of another cell. 100. Squamous cell carcinoma is characterized by sheets, groups and clusters of pleomorphic malignant epithelial cells with high N/C ratio,hyperchromatic nuclei and pale cytoplasm.Keratin epithelial pearls,intercellular bridges and individual cell keratinization are seen. 101. Adenocarcinoma is characterized by back to back closely packed glands lined by pleomorphic malignant epithelial cells with high N/C ratio,hyperchromatic nuclei and eosinophilic cytoplasm.Wall sharing is often noted. 102. 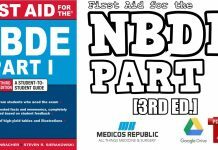 Two types of vaccines include: Live vaccines; Measles, Mumps, Rubella, Varicella, Polio etc and Killed vaccines: Rabies, Polio, Hepatitis A. 103. Proto-oncogenes are converted into oncogenes. 104. p53 works by DNA repair and promoting apoptosis. 105. RB gene activates and Works in hypophosphorylated form. 106. RAS gene protooncogene protein is GTP bound and Works with GAP in coordination with GTPase. 107. Gliomas and BCC are highly malignant but dont usually metastasize. 108. AFB is acid fase bacillus ( Mycobacterium tuberculosis ) and called so because it resists decolourization by Concentrated Acids. 109. Tigered lipid effect is seen in Herat. 111. FNAC and biopsy are key investigations to early diagnose a tumor. Passive immunity is resistance based on antibodies preformed in another host eg administration of antibody against tetanus, botulism, diphtheria, rabies etc. 113. Sudden death is majorly linked with embolism. 114. 24 to 48 hours post acute inflammation ,monocytes start accumulating. 115. ubiquitin proteosome pathway & autophagic vacuoles are mainly involved in atrophy. 116. Reserve stem cells are main players in metaplasia. 117. Mechanical and trophic factors are involved in hypertophy. 118. Eosinophils are players in allergic infections. Transient asoconstriction,vasodilation stasis, margination, rolling, adhesion, diapedesis, chemotaxis and phagocytosis. Osteoclasts – bone,microglia – brain,kupffer cells – liver,alveolar macrophages – lung.Sinus histiocytes – lymph nodes. 120. Tuberculosis is the leading cause of granuloma in Pakistan. 121. Major granulomatous causes include: sarcoidosis, leprosy, cat scratch disease, fungal infections. 122. Grading of a tumor is based on differentiation,atypia and mitoses. 123. Staging of a tumor is based on TNM – tumor,nodes,metastasis. 126. Fatty change is also known as steatosis. replication, exchange a single nucleotide for another e.g RAS. 128. Giant cells are cells containing more than one nucleus. 130. IgG fixes complement and crosses placenta. 131. IgM is the most heavy antibody. 132. IgE is the allergic reaction player antibody. 133. Ig A is found in secretions. 134. ABL gene is seen translocated in CML. 136. Psammoma bodies are lamellated bodies of dystrophic calcification seen in meningioma, papillary carcinoma thyroid, and serous ovarian malignant tumors. 137. Nuclear changes in a necrotic cell include pyknosis, karyolysis, karyorrhexis and loss of nucleus. 138. Macrophages get accumulated in chronic inflammation by continuous recruitment,proliferation and immobilization. 139. Ischemic injury leads to coagulative necrosis. 141. Liquefactive necrosis: Usually caused by focal bacterial infections, because they can attract polymorphonuclear leukocytes. 143. 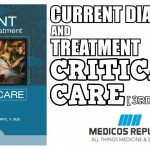 Fat Necrosis: A term for necrosis in fat, caused either by release of pancreatic enzymes from pancreas or gut (enzymic fat necrosis) or by trauma to fat, either by a physical blow or by surgery (traumatic fat necrosis). 145. Gangrene (“gangrenous necrosis”) is not a separate kind of necrosis at all, but a term for necrosis that is advanced and visible grossly with super added putrefaction. 146. Fibrinoid necrosis occurs in the wall of blood vessels when endothelium and smooth muscle cells are injured and dying. 147. Unlike necrosis, where the cell dies by swelling and bursting its content in the area, which causes an inflammatory response, apoptosis is a very clean and controlled process where the content of the cell is kept strictly within the cell membrane as it is degraded. 148. The extrinsic pathway of apoptosis is initiated through the stimulation of the transmembrane death receptors, such as the Fas receptors, located on the cell membrane. 150. In males bronchogenic carcinoma and in females breast carcinoma are at the top. 152. Initiator chemicals – Cause irreversible damage to DNA, but at maximum they can cause severe dysplasia. 155. Ionizing radiation leads to disjunctions à random fusion à mutation. 156. Exposure long term of radiations lead to leukemia and thyroid cancers. 157. Initiation, Latent stage, Promotion and Malignant transformation are recognizable stages in carcinogenesis. 158. Mast cells are the main source of histamine and platelets the main source of serotonin. 159. Thromboxane A2 (TXA2), from platelets, aggregates platelets, constricts blood vessels. Great for hemostasis. 160. Prostacyclin (PGI2), from the vessel wall, prevents platelet aggregation, dilates vessels. 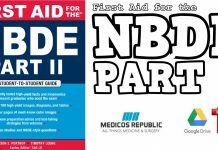 Great for whenever hemostasis is unnecessary. 161. Suppurative or purulent inflammation is characterized by the production of large amounts of pus or purulent exudate consisting of neutrophils, necrotic cells, and edema fluid. 163. Teratoma is a tumor derived from more than one germ cell layer. 164. Seminomas,Melanomas,Hepatomas are malignant tumors. 165. Extent to which the tumor cell resemble its parent cell is differentiation. 166. Ranges of differentiation include: well, moderately, poorly, undifferentiated (anaplasia). 167. A malignant cells shows: high N/C ratio,hyperchromatic nuclei, prominent nucleoli, scanty cytoplasm and pleomorphism. 168. Carcinoma in situ is : Full-thickness dysplasia extending from the basement membrane to the surface of the epithelium. 171. Benign tumors never locally invade and Malignant tumors always invade the surrounding tissues. 172. Carcinoma of the ovary spreads through seeding of body cavities. 173. Commonest places for mets deposits are liver and lungs. 174. Perineural spread is seen by carcinoma of prostate and pancreas (2 P’s ). 175. Nuclear damage is the hall mark of irreversible cell injury. 176. Scientific study of structural changes and functional consequences of injurious stimuli on cells, tissues and organs is Pathology. 177. Metaplasia is a two edges sword because it can lead to dysplasia and the original function of cells is lost. 178. Metaplasia can lead to dysplasia. 179. ALTHOUGH ATROPHIC CELLS MAY HAVE DIMINISHED FUNCTION,THEY R NOT DEAD. 180. Pathologic hyperplasia constitutes a fertile soil in which cancerous proliferation may eventually arise like bph and endometrial hyperplasia. 181. Dysplasia can regress and does not always lead to cancer. 182. Transudates are fluid accumulations that are essentially salt-water, accumulated because of pressure problems. Exudates are protein-rich fluid accumulations, due to leaky vessels. 183. In disseminated intravascular coagulation, the clotting cascades are activated throughout the body. This is bad, since it tends to shut down organs due to microthrombi, and also causes bleeding due to consumption of clotting factors and activation of plasmin. 184. Some people reserve the word “thrombus” for the ante-mortem kind, and call post-mortem thrombi “clots”. 185. Arterial thrombi usually occur over ruptured atherosclerotic plaques, less often at sites of other vascular disease or old surgery. 186. Vegetations are thrombi that occur on cardiac valves. They may be loaded with bacteria (“bacterial endocarditis”), or sterile (“marantic”, “verrucous”, “bland”; also the thrombi of acute rheumatic fever). 187. Embolus” comes from the Greek for “bottle stopper”. 188. Pulmonary embolization is one of the great killers of hospitalized patients, and that ante-mortem diagnosis is notoriously unsatisfactory even today. 189. A paradoxical embolus (* crossed embolus) is one from the systemic veins that passes through a right-to-left intracardiac shunt (i.e., a birth defect), to occlude a systemic artery. 190. Long bone fractures are the main cause of fat embolism. 191. Tumor emboli are bits of cancer that invaded a vein and then broke off. Renal cell carcinoma is famous for this. 193. Red infarcts (“hemorrhagic infarcts”, sounds like an oxymoron but isn’t) result when veins are occluded, or when arteries are occluded in loose tissues (bowel) or with a dual blood supply, or when the organ was already very congested. 194. Monocytes are the largest cells in blood stream. 195. Histiocytes are mature tissue macrophages. 196. Cell membrane damage is the first sign of irreversible cell injury. 197. Lysosomal leakage confirms irreversible cell injury. 198. 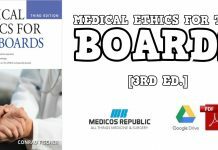 Choristomas and hemartomas are not neoplasms. 199. FGF,TGF,VEGF,EGF are main growth factors.